Listed below are homes for sale in VanChaMasShe, a neighborhood located in Near West Madison, WI. Listings are updated multiple times a day from the SCWMLS. For more information about any of these VanChaMasShe homes for sale, just click the "Request More Information" button when viewing the details of a property. We can provide you with disclosures, past sales history, dates and prices of homes recently sold nearby in Madison, and more. And, for your convenience, register for a free account to automatically receive email alerts whenever new VanChaMasShe listings come on the market that match your search criteria. Few neighborhoods have a name as unique as VanChaMasShe on Madison’s near west side, but the name makes perfect sense to the neighbors who live here. It dates back to a group of neighbors who lived on Van Hise Avenue, Chamberlain Avenue, Mason Street and Shepard Terrace in the late 1940s. They enjoyed socializing and planning parties together, so they used letters from each street name to dub their social group “VanChaMasShe.” The name stuck, and so did the tight community bond. VanChaMasShe’s Independence Day parade is the city’s longest-running, and neighbors mark their calendars each year for the community’s May Day and Octoberfest celebrations. 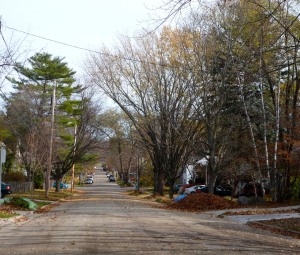 Encompassing just four city blocks, VanChaMasShe is among Madison’s smallest neighborhoods. It consists exclusively of single-family homes that were mostly built in the 1950s and 1960s. Cape Cod-style homes are prevalent in the neighborhood, as well as a varied selection of two-story architecture. Mature trees shade VanChaMasShe, and Hoyt Park, which is located directly west, provides acres of rolling green space and forested areas to explore. Hoyt Park also unfolds to the south by way of the Owen Parkway, and Quarry Park is just northwest of VanChaMasShe. 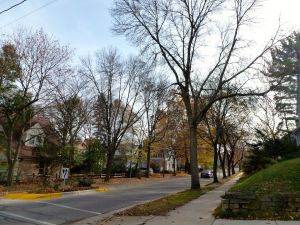 With plenty of parks, Lake Mendota and fast access to the Capital City State Trail bike path, neighbors here enjoy close proximity to Downtown Madison and abundant natural areas. VanChaMasShe residents don’t have to travel far to find something to do. The neighborhood is located just blocks from the University of Wisconsin campus, as well as the shops and eateries on State Street and Capitol Square. University Avenue runs just north of the neighborhood. West Towne Mall is a short four-mile drive west on University Avenue, and Middleton less than five miles west of VanChaMasShe. Closer to home, the UW Arboretum is just a few blocks south of VanChaMasShe. There, neighbors enjoy miles of trails are perfect to walk, job, bike or cross-country ski through more than 1,000 acres of rolling prairie land and forests. For information about finding a home in the VanChaMasShe neighborhood or to sell your VanChaMasShe home, contact our team for a better real estate experience. 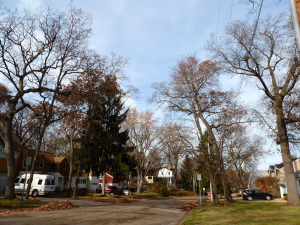 VanChaMasShe neighborhood is located on the Near West Side of Madison in MLS area Madison – W13. Below are more homes for sale in that area.